Computer science graduate finds unexpected success teaching English. Taught English by missionaries, Carlos Martins has in turn taught others. When workers at a company in Brazil learned one of their colleagues had attended school in the United States, they asked him to teach them English. Carlos Martins (BS ’85) obliged their request by teaching a few English lessons in the evening. Within a year, word of his talent had spread and Martins’ pay for teaching English on the side surpassed his full-time salary. So he quit his day job and opened Wizard Language Institute. A year later he began franchising. Now, after two decades in business, Wizard teaches 500,000 students in 1,200 franchised locations in five countries, including Japan and the United States. Wizard is the largest chain of language schools in the world. Ten years later, Martins was a returned missionary, bishop, husband, and father of twins. The only job he could get at the time was teaching English at a local school in Brazil. 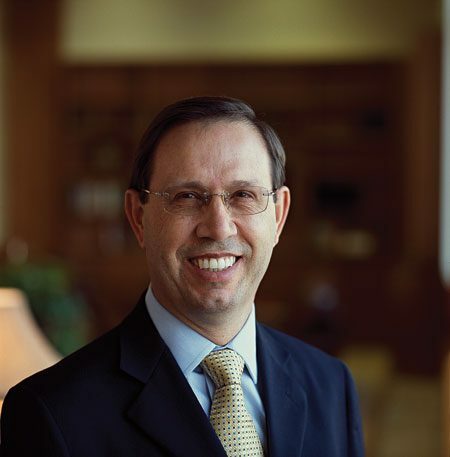 Within a few years, he came to BYU, the alma mater of many of the missionaries who taught him English when he was a young man. While studying computer science and statistics at the Y, Martins taught new missionaries Portuguese at the Missionary Training Center. After graduation, Martins and his family moved to Ohio for a year, where he did computer systems analysis for a company that soon transferred him back to Brazil. There he began teaching his colleagues English, and Wizard was born. With 500,000 students in 1,200 locations, Wizard Language Institute is the largest chain of language schools in the world. Wizard Language Institute now teaches seven languages and employs 15,000 people. Wizard has its own television station and, in partnership with BYU, Wizard TV broadcasts BYU Television International throughout Brazil. 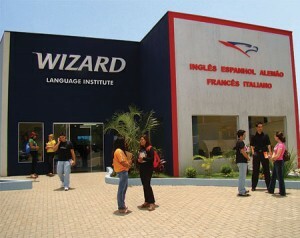 “Today Wizard is recognized as an institution that not only teaches a second language,” Martins says, “but also a school that develops the student’s leadership, professional, and entrepreneurial abilities.” The school teaches these skills not through formal classes on delegation, priorities, or teamwork but through English texts about the subjects that the students read to develop their language abilities. Martins strongly believes that raising the self-esteem of his students not only helps them learn the language faster, it helps them become the leaders of tomorrow.